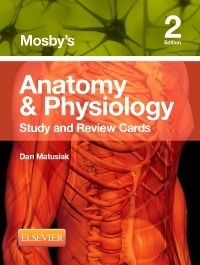 Anatomy & Physiology Study and Review Cards helps students learn and retain the fundamentals of Anatomy and Physiology. Divided into 20 color-coded sections, more than 320 cards cover all of the body systems with a vivid mix of illustrations, tables, case studies, quizzes and labeling exercises. The vibrant illustrations and supporting text will make the most of study time while improving comprehension and retention.